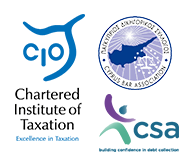 Cyprus is increasingly becoming a jurisdiction of choice for many multinational companies, entrepreneurs and investors for establishing their corporate presence. The Cyprus company registration, being the preferred entity of most, provides numerous legal and tax benefits rendering it advantageous to act as a holding, financing, trading or licensing company. Developments in the international tax sphere, have rendered it imperative that many multinational companies, entrepreneurs and investors maintaining any operations should establish appropriate levels of substance to justify their corporate presence in any jurisdiction. Further to the rather obvious cost disadvantages of such developments it also provides for a good opportunity to concentrate certain activities in a jurisdiction which can reasonably support a fully operational business presence. Maintaining full documentation of the decision making process and administration of the company taking place in Cyprus. In addition, taking the above and other measures in Cyprus can mitigate other tax risks such as potential challenges on beneficial ownership and transfer pricing, as well as controlled foreign company (“CFC”) rules. © 2019 O' Shambartas LLC. All Rights Reserved.